Adedoyin Appointed Kwara Coordinator For Buhari Re-Election Bid – Royal Times of Nigeria. Former Commissioner for Information in Kwara State and veteran journalist, Oloriewe Raheem Adedoyin has been appointed as Kwara state coordinator for the National Committee Of Buhari Support Groups, NCBSG. 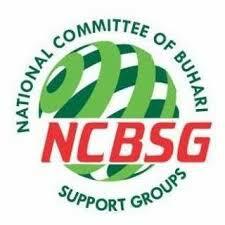 NCBSG is the Umbrella organization for all the support groups seeking the reelection of President Muhammadu Buhari in the 2019 general elections. 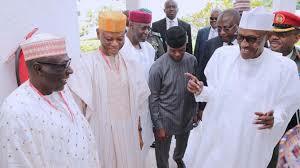 Adedoyin, a chieftain of the All Progressives Congress, APC was inaugurated along with other zonal and state Coordinators in Abuja at an event attended by Vice President Yemi Osibanjo, Asiwaju Bola Ahmed Tinubu, and other APC Stakeholders. In the letter of appointment they signed, NCBSG Chairman, Alhaji Mustapha Ahmed and the Secretary-General, Otunba Biodun Ajiboye, charged the Coordinators to use their political experience to deliver their states for APC and Buhari/Osinbajo in 2019. The committee is vested with the responsibility to serve as a platform for coordinating the activities of Buhari support groups nationwide as well as galvanise the support groups with a view to bridging any communication and support gaps between the government and citizens of the country. The committee is to also mobilise unwavering support for the government of President Buhari in it is efforts to fight corruption, secure the country, develop infrastructure , create jobs, and bequeath a legacy of social political change. In his reaction to the appointment, Adedoyin pledged to work with every support group and interest within and outside APC to ensure the victory of President Buhari in the 2019 general elections.